2014 ended up being a standout year for the fighting genre with releases like Guilty Gear Xrd Sign, Persona 4 Arena Ultimax, Super Smash Bros. for 3DS and Super Smash Bros. for Wii U. Things will get even better for this year and beyond for fans of those types of videogames. So what are the best fighting games to look forward to for 2015 and beyond? Find out in our latest rankings below. 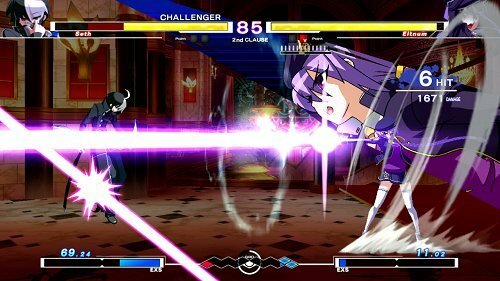 From the developers of the Melty Blood series comes the uniquely titled, Under Night In-Birth Exe:Late. In addition to a unique story that takes place in a fictional modern-day setting, the fighting game has a pretty interesting story mode along with online multiplayer. Not to mention that it will also be launching at a lower MSRP than most new software. Preorder Under Night In-Birth Exe:Late, which is coming out on the February 24, with this link on Amazon. Also from the same developers mentioned above is Dengeki Bunko Fighting Climax, a crossover fighting game that features characters from the Accel World, Sword Art Online and other manga series. You can also unlock Selvaria from Valkyria Chronicles and Akira from Virtua Fighter. The console version also comes with a campaign mode in addition to online multiplayer and cross-save compatibility. 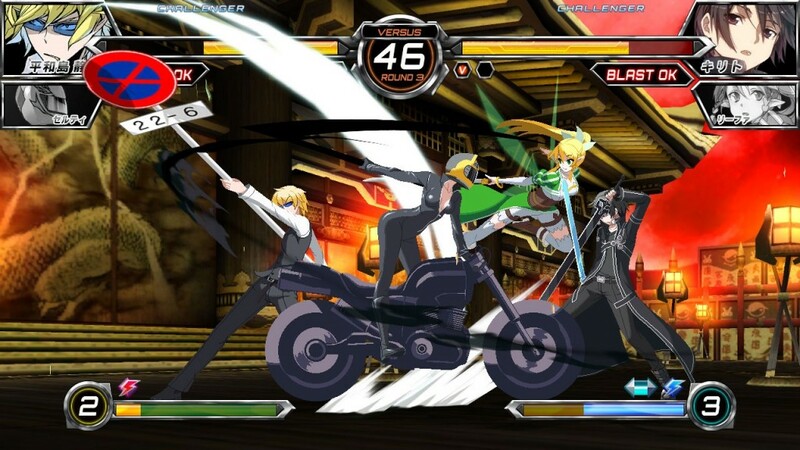 Dengeki Bunko Fighting Climax is releasing later this summer for the PlayStation 3 and Vita. Order it now with this page. Speaking of crossover titles, Bandai Namco is surprisingly going to bring J-Stars Victory Vs + out in the west. The fighting game features some of the most popular characters in anime such as Goku from Dragon Ball, Luffy from One Piece, Naruto and much more. If fighting it out in the campaign and multiplayer is not enough, a new arcade mode will be added to the western release as well. J-Stars Victory Vs + is coming to the PS4, PS3 and Vita in the summer. Reserve it here. There is also a new Dragon Ball game coming out if you prefer a more traditional experience instead of a crossover one. 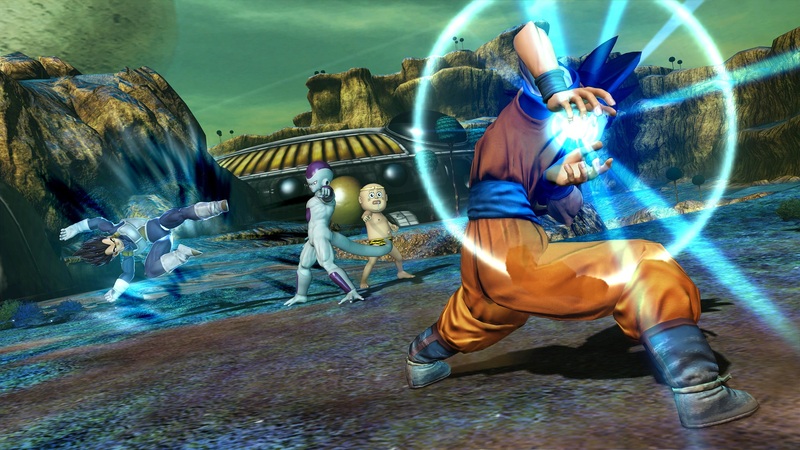 In Dragon Ball Xenoverse, you get to create your very own character and have him or her travel through time to relive some of the most iconic moments from the anime. You can also play cooperativelu and competitively with dozens of popular characters once you are done with the campaign. 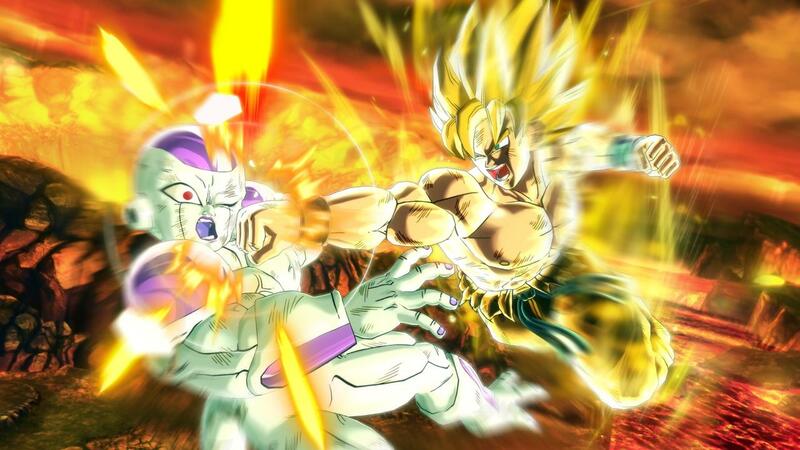 Dragon Ball Xenoverse releases on the 24th of February for PS4, Xbox One, Xbox 360, PS3 and PC. Preorder it now with this link. Last Round is the definitive release of Dead or Alive 5 as it will contain the biggest roster in the series to date. Along with your returning favorites, there are also new characters like Honoka and Raidou. Of course, you can also change the appearances of your fighters with hundred of customization options. Owners of the original Dead or Alive 5 release on PS3 and Xbox 360 can even transfer their DLC purchases to the PS4 and Xbox One. In addition to the above-mentioned consoles, Dead or Alive 5: Last Round is also being released on the PC. The videogame is coming out on consoles first on February 17. Order it with this page. In a somewhat unusual partnership, The Pokemon Company teamed up with Bandai Namco Games to create Pokken Tournament. The fighting game pits your favorite pocket monsters (such as Blaziken, Lucario, Machamp and Pikachu) against each other. There are also assist characters like Emolga, Fennekin and Lapras. You can even perform special moves in addition to mega evolving during the middle of battles. Pokken Tournament has only been announced for arcades as it should be hitting the cabinets sometime by the end of 2015. With that said, don’t be surprised if the same game ends up on the Wii U at some point. Naruto Shippuden: Ultimate Ninja Storm 4 is promised to be the biggest game in the series yet. The development team decided to go all out, foregoing the PS3 and Xbox 360 in favor of the PS4 and Xbox One to get the most out of the visual department. You can also expect the most updated roster, including the grown-up version of Hinata, Naruto, Sakura and Sasuke. Of course, the usual campaign and multiplayer modes will be included as well. Aside from the two above-mentioned current-gen consoles, Naruto Shippuden: Ultimate Ninja Storm 4 is also being released for the PC. Preorder the sequel, which is arriving in 2015, here. The ninth Mortal Kombat game brought new life to the previously struggling franchise. After taking a detour with Injustice: Gods Among Us, NetherRealm Studios is back with Mortal Kombat X, which is set in the far future. In addition to seeing older versions of your favorites, you will also get to play as new characters like Cassie Cage. Fighters now have multiple stances and can use the environments to their advantages. Of course, fatalities have not only been brought back but look as brutal as ever. Mortal Kombat X is available on April 14 for the PS4, Xbox One, Xbox 360, PS3 and PC. You can reserve the newest entry in the fighting game franchise with this link. One of the more popular series, Tekken, is getting another mainline installment soon. The sequel features several major changes, including Rage Art, a powerful attack that can only be used while your health is critical. There is also a new mechanic where your combos won’t be interrupted with a counterattack even though you will still receive damage. What has us most excited is the story, which promises to end the ongoing saga between Heihachi Mishima and his family. Of course, you can also expect some new characters to play with as well. Tekken 7 is coming out for arcades on February 18 in Japan. The fighting game should then be ported to consoles. Street Fighter IV is the game that many fans point to as the one title that helped revitalize the fighting genre. 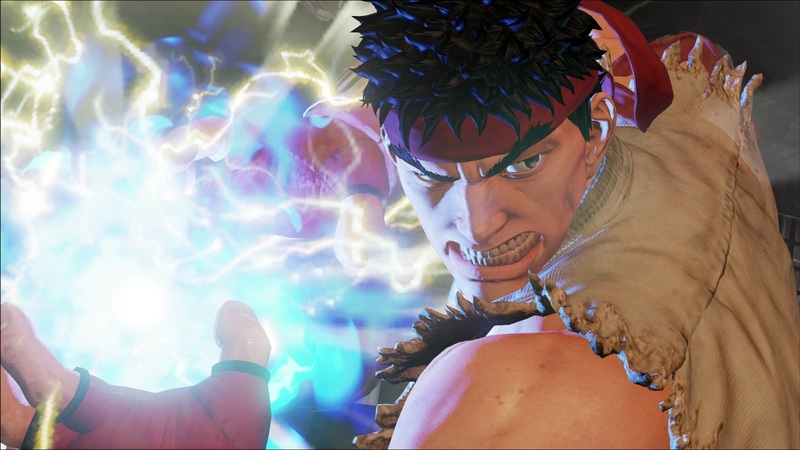 For Street Fighter V, Capcom decided to partner with Sony. Early videos have shown better graphics (as Chun Li and Ryu look better than ever) with the same trademarked classic 2D fighting gameplay. The above-mentioned partnership also meant that PC and PS4 players will be able to fight against each other. As a result, the Street Fighter community will no longer be split by different platforms. While Street Fighter V currently has no release date, Capcom did mention that an announcement should be coming soon. A listing from Amazon indicated that it may be an early 2016 title. You can preorder the fifth mainline installment of the series with this page. Based on the games mentioned above alone, fighting fans should have plenty to play for this year and beyond.